Subtle, creative, and effective. 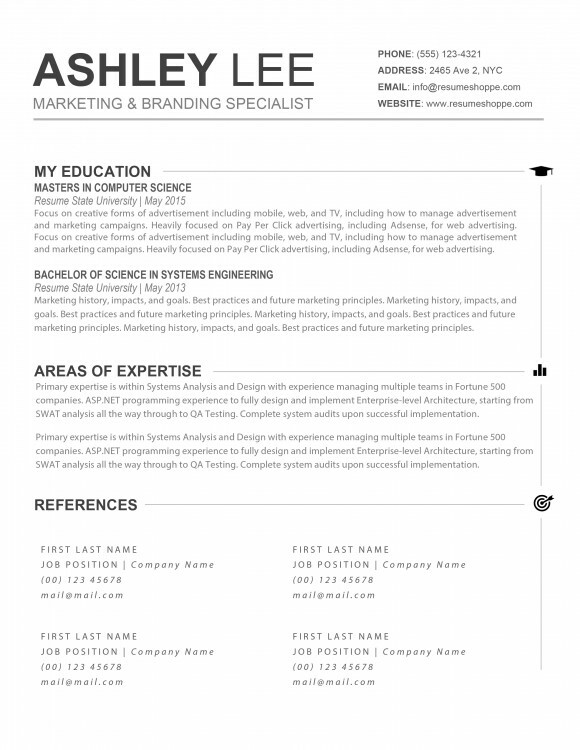 The Ashley Resume is a perfect creative resume template for those looking to freshen up their design without going overboard. 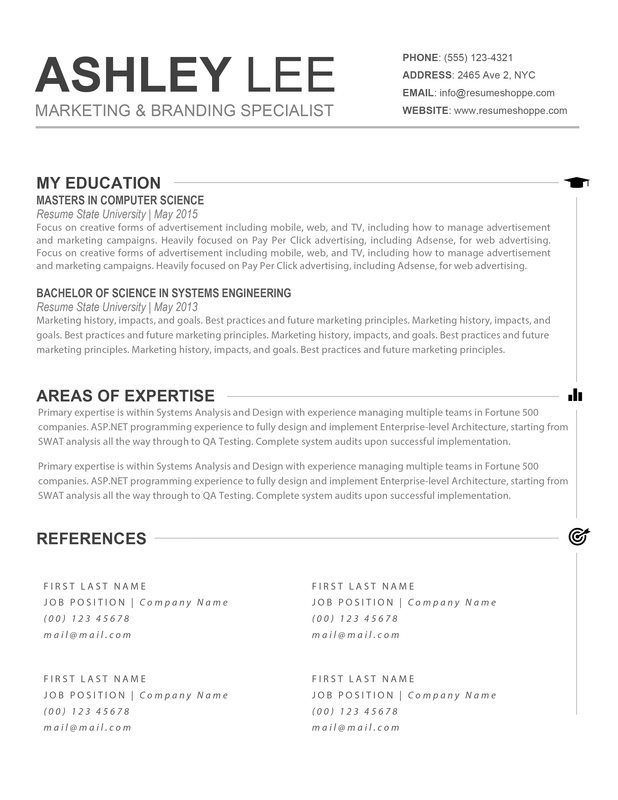 The simple and clean heading section properly highlights your name, expertise, and contact information. Further down the page, your work experience, education, and detailed areas of expertise are formatted in creative sections. 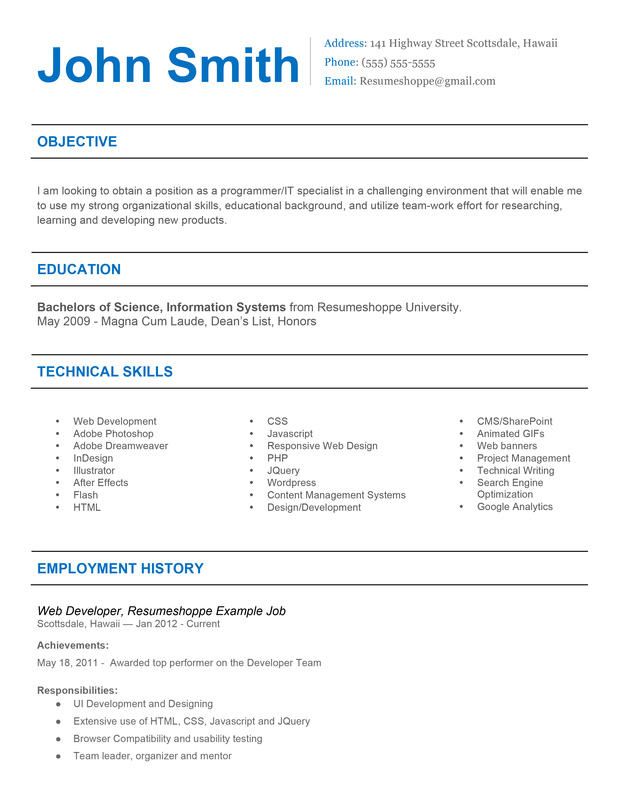 The Ashley Resume is a creative resume choice for non creative careers, including Nursing, IT, retail, and many more. 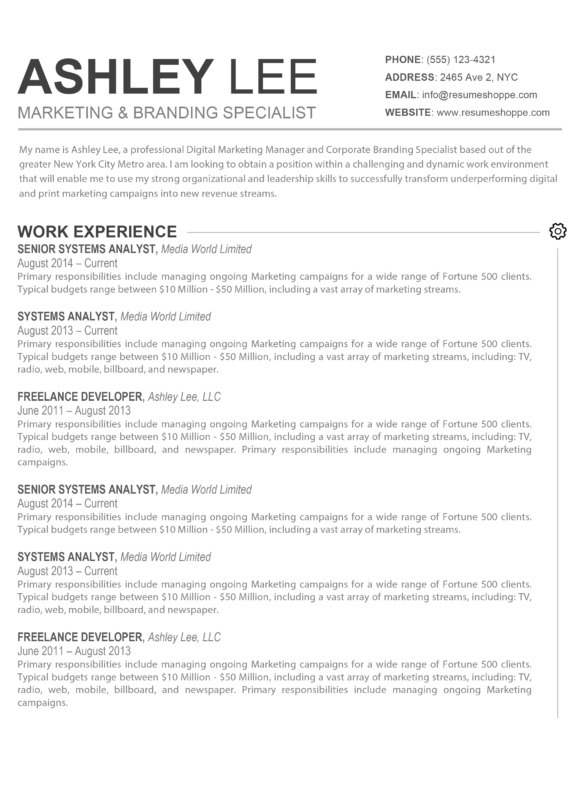 Not sure which resume is best suited for your job? Contact us! We’ll be glad to help.